A tremendous responsibility for boaters is guarding the safety of those who are swimming or in slow moving boats, such as canoes, kayaks, and sailboats. Keep in mind that boats without power have the right of way. Tubing and water skiing are not an excuse for reckless driving. Fast boat and ski traffic should go in a generally COUNTER-CLOCKWISE DIRECTION. When two (2) boats are approaching each other, each boat shall bear to the right and pass other boat on the left side. Boats without power have right-of-way. This a both a Vermont state and Federal law. Slow-wake buoys have been placed in some areas. Fast boating inside these markers is dangerous and prohibited by Vermont law, which states that boats within 200 feet of shore, dock, swim area, person in water and other vessels or anchorage, must travel at less than five miles per hour and must not create a wake. Any boat with a motor must be registered and the certificate carried in boat. Boats can be registered by filling out an application that can be obtained at any Motor Vehicle office or State Police office. 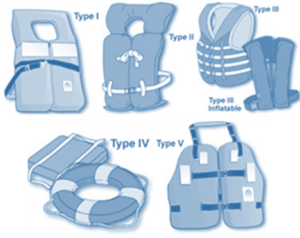 Must contain one (1) Coast Guard approved Type I, II, or III personal flotation device (PFD) for each person aboard. Vessels over 16 feet in length must also carry at least one Coast Guard approved Type IV PFD that is readily accessible. This includes canoes, kayaks, and paddle boards. Shall not be operated in a careless and negligent manner, nor be overloaded. Must be kept a minimum of 200 feet from all objects, swimmers and shore when operated at speeds of more than 5 miles per hour. Each boater shall be responsible for damage caused by boat wake. A child under age 12 must WEAR a Coast Guard approved Type I, II, or III personal flotation device while in any boat (including canoes, kayaks, paddle boards, and towed vessels such as tubes). No person under the age of 12 may operate a motorboat powered by more than six (6) horsepower. All persons under the age of 16 must wear an Coast Guard approved Type I, II, or III personal flotation device while aboard a sailboat. All persons being towed behind boats must wear a PFD. Boating while intoxicated or under influence punishable by state law same as DWI. All persons born after Jan 1, 1974 are required to have proof of completion of a boating safety course before operating a motorboat in Vermont. Classes are offered by the Vermont State Police Marine Division. However, courses are given in every state. For information, see internet: www.boatsafe.com. Must always wear an approved PFD. Must stay a minimum of 200 feet from boats, docks, floats, and swimmers, except when leaving shore, when traveling at more than 5 miles per hour. (Because of this law) our attorney states that all boats on Lake Pauline should travel at speeds of less than 5 miles per hour. Shall not ski in a careless and negligent manner. Shall have two (2) persons on board, one to operate boat and watch ahead, and the other to observe skier. Observer must be 12 years old or older. Anyone fishing on the lakes must have a valid fishing license. The state wardens are very serious about enforcing these state laws. Licenses for the whole year or ones for just 1, 3 or 7 days can be obtained at a number of local shops and online at the Vermont Fish and Wildlife website. In accordance with 29 V.S.A. Chapter 11, Management of Lakes and Ponds, docks in Vermont lakes and ponds must meet at least one of the following two requirements. Failure to comply with at least one of these two criteria may subject the dock owner to an enforcement action by the Agency of Natural Resources. e. Concrete, masonry, earth or rock fill, sheet piling, bulkheading, cribwork, or similar construction does not form any part of the dock. Criteria 2: Possession of an unexpired permit for the dock, issued in 20 V.S.A. Chapter 11, Management of Lake and Ponds. The Agency is undertaking shoreline inspections to enforce this statue. If your dock does not meet at least one of the above criteria, or if you have questions, contact Steven Hanna of the Shoreland Encroachment Program.